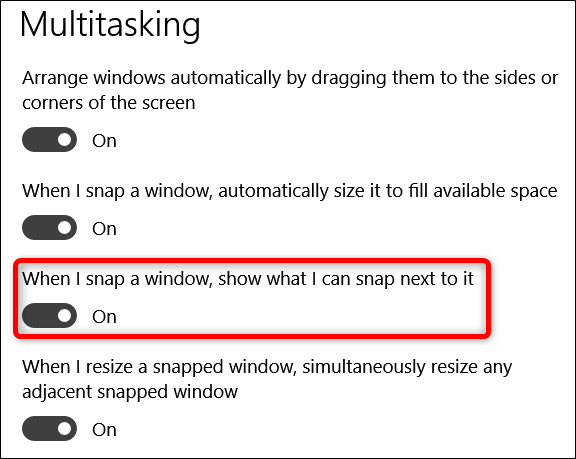 Snapping windows is a great feature. Drag a window to the corner or side of your screen and Windows automatically resizes it to fill that space. When you snap a window to one side of the screen, Windows presents a thumbnail view of other open windows that you can use to fill the other half. That’s Snap Assist and if you don’t like it, you can turn it off. Some people love the Snap Assist feature and others feel like it interrupts the flow of their work. Whatever your preference, it’s easy to turn Snap Assist off if you don’t like it. 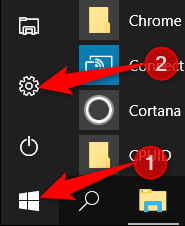 Click Start and then click the cog icon (or just hit Windows+I) to open Settings. 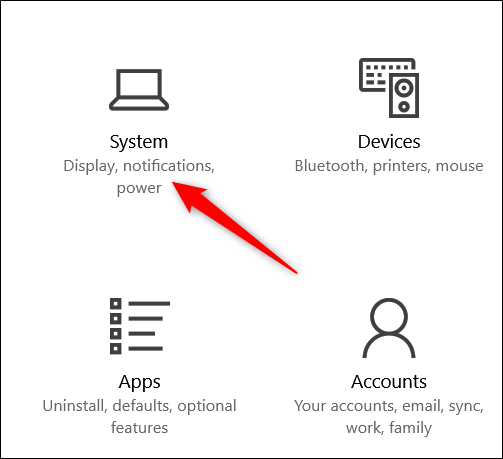 In the Settings window, click the “System” category. In the System Settings window, click the “Multitasking” tab over on the left. On the right, you’ll see several options in the “Snap” section. 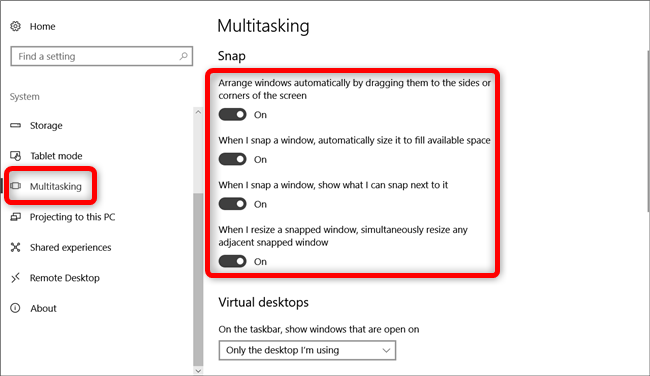 You can use those to turn off different aspects of the Snap feature, like whether dragging windows snaps them at all and whether snapped windows resize to fill available space. If you only want to disable Snap Assist, turn off the “When I snap a window, show what I can snap next to it” option. That’s all there is to it. If you find that life without Snap Assist isn’t all it’s cracked up to be, return to the Multitasking settings and turn it back on.